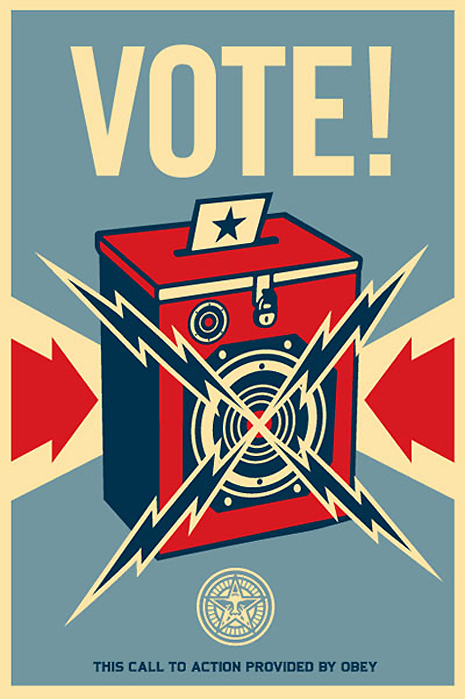 [Everyday] Psychophilosophy » Solving the Voting Crisis. Kind of. Solving the Voting Crisis. Kind of. With my first real election season in Ohio around the corner, I’ve been forewarned to expect a flurry of political ads. And once more hear every news pundit make the always insightful comment about how my generation fails to vote. Look, we get it. The youth aren’t the most reliable voting bloc. But just because we can’t always see the value of our one, individual vote amidst the mass of hundreds of thousands, it doesn’t mean we’re terrible people, right? Let us be terrible for other reasons. Answer: the alchemy of turning verbs into nouns. Who likes Shakespeare more? Someone who reads Shakespeare a lot or a Shakespeare-reader? At face value, they may seem pretty similar, but if you had to choose, my guess is you’d back the latter. That is, by turning “reads Shakespeare a lot” (a verb) into “Shakespeare-reader” (a noun) it implies that the “reading of Shakespeare” is somehow integral to this person: it’s part of his or her identity. And in fact, when participants are asked to phrase a number of activities (e.g. eating chocolate; wearing dresses) as nouns instead of verbs (e.g. chocolate-eater; dress-wearer) these participants evaluate their preference for those activities as stronger and more stable over time. Can you figure out how all of this relates to voting? Those who answered questions phrased “to be a voter” rather than “to vote” increased their voter turnout by 11% in one study and 16% in another. Had his been survey been given to the full 8 million, registered Ohio voters, that would have been an additional 800,000 people turning out to vote! The researchers explain this effect through an “evocation of the self,” wherein they mean that by turning the perception of “to vote” into “voter,” it makes the individual view voting as part of his or her identity—to not vote, then, would be to go against one’s self. Now, I’m not saying this simple change is the panacea to voting; however, it is nonetheless remarkable to see how such a nearly unnoticeable switch in language can have such a profound effect on behavior. So remember: you don’t just read a lot of psychophilosophy posts; you’re a budding psychophilosopher yourself. Tony Robbins (me) repeatedly stresses that the biggest need in human psychology is the need to stay consistent. To stay consistent with identity. With one’s self-concept. It’s interesting, and also true. I’ve done some self-manipulation when trying to get myself to take up a new hobby or habit, such as telling myself “I’m a weightlifter” in order to change my self-concept into that of someone who lifts weights consistently. You’ve written a fascinating post. And the question is: are you a voter, or is voting just something you do? Well written, Tony. Though I wouldn’t expect anything less 🙂 I myself consider voting just something I do, but I bet for older generations, you would find people tend to view themselves as voters. This is an interesting empirical question you’ve generated… I may have to explore this further.